Given its vantage point in the Phoenician crossroads of the Mediterranean shipping line, Malta has historically played the role of a strategic vantage post for trade and naval campaigns throughout the Mediterranean history. 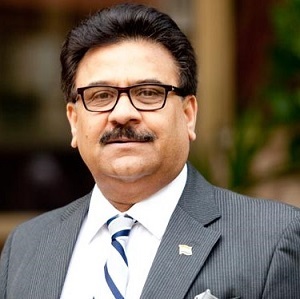 “Vibrant Gujarat “a brain child of Prime Minister Narendra Modi has emerged as the mini-Davos for India where one witnesses the congregation of political and business leaders from many countries. The one this year was held from January 17-19 where an ‘Africa Day’ was also organised with the participation of 25 countries. Several countries from ASEAN had their pavilions and visitors and business delegations. One of the important visitors was Prime Minister Joseph Muscat of Malta on his maiden visit along with a large business delegation. He had substantive discussions with Prime Minister Modi and was received on arrival by the Governor of Gujarat. Bilateral relations between India and Malta acquired traction and substance with high level exchanges when the former MOS (EA) Perneet Kaur became the first foreign dignitary to visit Malta after PM Muscat took over in 2013 with an unprecedented margin of victory. His Labour Party regained the power after a gap of almost 25 years (except of a brief spell in 1990s). The Maltese Foreign Minister reciprocated the visit in the run up to the CHOGM Summit 2015 in Valetta which was attended by External Affairs Minister Mrs Sushma Swaraj. Thereafter Vice President Venkaiah Naidu made an official visit in September last year. They are keen to have Prime Ministerial visit which should happen in due course as India has also started placing greater focus on enhancing relations with small Island nations. PM Muscat welcomed Indian Pharma and the IT industry to make Malta a potential hub for African and European markets. He invited India to cooperate with Malta on advanced technologies such as Artificial Intelligence, Block-chain and financial technologies. Malta has brought in a formal legislation on Block-chain technology and sees the role of Indian IT companies as system monitors. Given its vantage point in the Phoenician crossroads of the Mediterranean shipping line, Malta has historically played the role of a strategic vantage post for trade and naval campaigns through the Mediterranean history. The UK formally acquired the possession of Malta in 1814 and the island staunchly supported the UK through the World Wars and remains in the Commonwealth after its independence in 1964. It was also one of the most bombed places during World War II. The country has become a freight transit shipment point, financial centre, ICT and R&D hub and a favoured tourist destination. Hence though one of the smallest countries in the world, Malta enjoys the status of being a vocal EU member as well as the Commonwealth country. Malta hosted CHOGM 2005 and 2015. Malta’s foreign policy essentially aims at harnessing its geopolitical relevance to maximize political and economic benefits. As a small country and a historic meeting place for reconciliation and dialogue, Malta also seeks to project the European Union’s friendly face towards its neighbours to the south of the Mediterranean and the closeness and understanding with Libya, Tunisia and the other Arab world countries. Malta also seeks to be a trusted interlocutor for them and a voice sensitive to the Arab realities within the European Union that is reflected in 5+5 EU Maghreb Summit interactions. Hence strength and relevance in multilateral and regional context feeds its strength and relevance in bilateral relations and vice-versa. It also gives Malta guaranteed participation in a plethora of trade agreements giving greater access to North African countries and Middle Eastern markets. Malta also focuses its special attention on new emerging economies such as India and China. The two sides have been focusing on cooperation in sectors like tourism, information & communication technology, health, maritime, financial services and film production. Malta Chamber of Commerce and CII also signed two MOUs on cooperation. Indian pharmaceutical company, Aurobindo Pharma which established its first European GMP certified facility in Malta in 2008 launched its products in the Maltese market in October 2010 and has become the largest Analytica Pharma firm enabling certification for the European markets. An IP Cloud firm Streamcast Technologies is looking to establish Tier 4 Data centres there. Malta is also projecting itself as a film location and want greater cooperation in joint film production with Indian film industry happily several Indian films have begun to be shot in its beautiful locations . The bilateral relationship with Malta is based on mutual respect and understanding. We have many similarities and come from ancient civilizations and have a creditable history. We both are proud democracies and follow the rule of law. India in fact is the largest democracy in the world. Malta and Libya both are maritime nations hence trade and tourism are natural to us. We have also inherited the British legacy and widely prevalent English language. Hence, we continue to remain part of the Commonwealth. India was the first country to recognize Malta in 1964 and last year India also established its full-fledged resident mission in Valetta while Malta has its High Commission in India for several years. In fact, political relations between the two countries go back several decades even before the two became independent. In 1878, the British Government of India sent over 7000 Indian troops to Malta which was the first time that the Indian army was deployed in Europe. Throughout the World War II, British continuously used Malta as hub for ferrying Indian troops from the Atlantic. Before Malta became the part of the EU, it was a part of Non-aligned Movement & G-77 of which India is a founding member. Malta is an important member of the EU which in turn is one of our biggest trading and investment partner. We are discussing a Free Trade Agreement with the EU which would further provide substantial access to trade, goods and services as well as investments. Malta’s strategic location in the Mediterranean provides it with the unique advantage and acceptability both in Europe and North Africa which are equally important for India. In fact, during the British rule, Malta was a convenient trade hub for exporting silk and curios from India and Far East countries to Mediterranean region as well even as far as the South America. Hence by leveraging our complementarities especially in the ICT, R&D and pharmaceutical and other sunrise sectors, we can jointly achieve mutually beneficial partnership in these regions. The two countries have sufficient institutional mechanisms especially in the area of trade and investment like the Double Taxation Avoidance Agreement. We have had a dynamic Indian community in Malta for over a century. Even though some Maltese-Indians trace their roots in Malta to 1890s, the Indian community has grown from 200 until a few years ago to 2000 strong. Many of them have Maltese nationality. They are mostly engaged in business of textiles, and food industry. There are also some Indian students studying in Malta. Recently several skilled Indians have begun to be sourced apart from IT and banking professionals. Malta is looking to have Indian Universities and prestigious Technical and Management Institutes to open off shore campuses in the country and markets itself as viable substitute to more expensive UK education. However, for it to become popular the work visa system will need to be reformed so that the students after passing out could have adequate work and professional exposure. Incidentally Malta is one of the few European countries which entered into visa waiver agreement for diplomatic and official passport holders and have been provided with visa on arrival facility for Maltese visitors. Being a part of the Schengen Malta has certain limitations but is has not prevented it from a launching its “Citizenship by Investment” -Malta’s Individual Investor Programme as well as The Malta Residence and Visa Programme. Several rich Indians have availed it while Chinese and Russians as well as people from Middle East have taken the lead. Tourism in both directions has tremendous potential and needs to be worked upon a little more. Malta is an extremely important country in our diaspora welfare especially due to the troubled areas of North Africa. During the Libya uprising, Malta extended fullest cooperation during the evacuation of Indians from Libya via Malta. Maltese Government provided all assistance and use of the country’s facilities for evacuation of Indian nationals from Libya and went out of its way to extend assistance and facilitation. I recall that during my farewell call on PM Muscat I had requested him to extend assistance in evacuation again if necessary least knowing that I will have to seek it in less than a month when I was deputed to evacuate over 400 Indians from war torn Benghazi via Malta. True to his word we received exceptional support and assistance from the all the Maltese authorities. It will become more important as soon as the situation in Libya and the neighbourhood stabilises. As we both follow the non-interventionist foreign policy, we can work closely together in the United Nations and other multilateral fora. 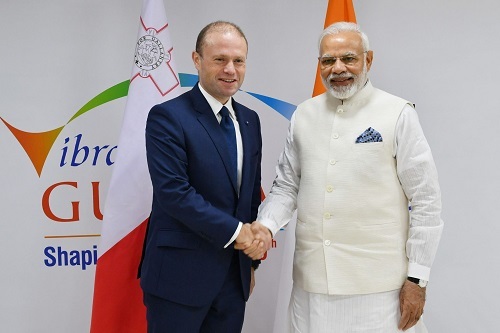 Although Malta’s position on India’s candidature for the permanent seat in the expanded and reformed UNSC has been more akin to Italy and the ‘Coffee Club”, PM Muscat appreciates India’s contributions to peacekeeping, size of economy and population, global stature, and legitimate aspirations and is perhaps willing to change his outlook on this important issue for India. As such they have been happier to be an interlocutor for India in the labyrinthine European Union bureaucracy. Hopefully we will be able to devise a new roadmap for our regular bilateral interactions and political & economic cooperation as Malta is projecting itself as a launchpad for Indian companies to the European Union and North African markets and can become worthy partners in the Industrial Revolution 4.0.